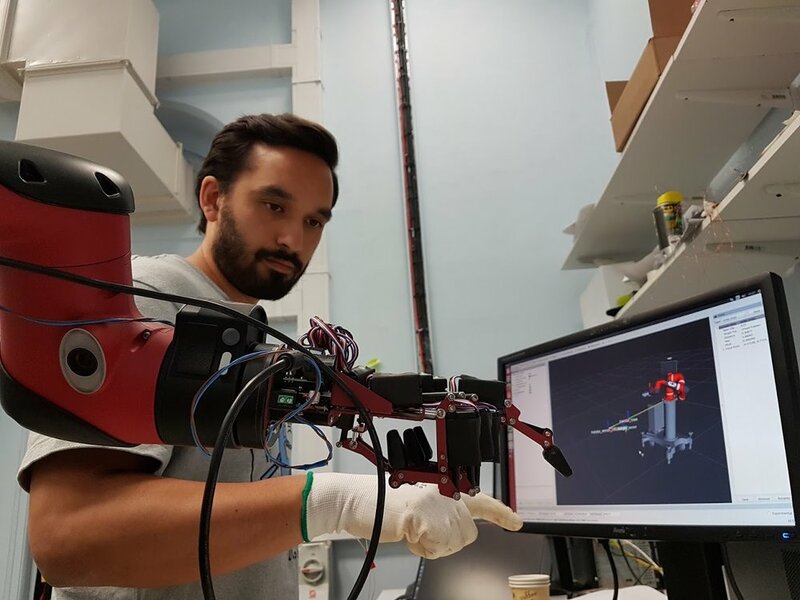 Hi there, I'm a postgraduate student in King's College London, where I am working in the Robot Learning Lab with Matthew Howard thanks to a PhD studentship from the AHDB. The project I am working on aims to provide the horticulture industry with a reprogrammable robot that can be used by non-experts to help growers with automation of low-volume high-mix tasks. Grower reprogrammable collaborative robot doesn't quite roll off the tongue, so we're going with GROWBOT. I'm pretty excited my research. In addition to having the support of great industry partners, this project presents a melting pot of research areas I am deeply interested in, from the machine learning methods required to enable collaborative Human-Robot Interaction, to the control systems required to enable reduced-risk compliant robots. I have an MSc(Res) and a BAI 1st Class Honours in Mechanical & Manufacturing Engineering from Trinity College, University of Dublin. A lot of my prior robotics projects were for indoor assistive robots, and there's some short videos of this work further below. After my undergrad, before diving into research, I was a graduate engineer at National Instruments for 2 years, and have also spent some time contracting as a systems engineer. Hopefully over time interesting (maybe even useful?) content will pop up here for those interested in robotics, machine learning, and how that all mixes with horticulture. Follow me on twitter to see when new content is posted (@aransena), or get in contact if you'd like to talk robots.